Perhaps you already have an email list for your clients, adding it to 5StarRocket is quick and easy. If you need help growing your email list I suggest our blog post which provides some excellent tips. See how you can take control of your online reputation with 5starRocket, the most powerful and intuitive online review management platform. Hit the “Request Feedback” button (visible from all 3 tabs) then hit “Import CSV”. In the Import CSV window, hit “Click to select a CSV file…” then navigate to your CSV on your local machine. 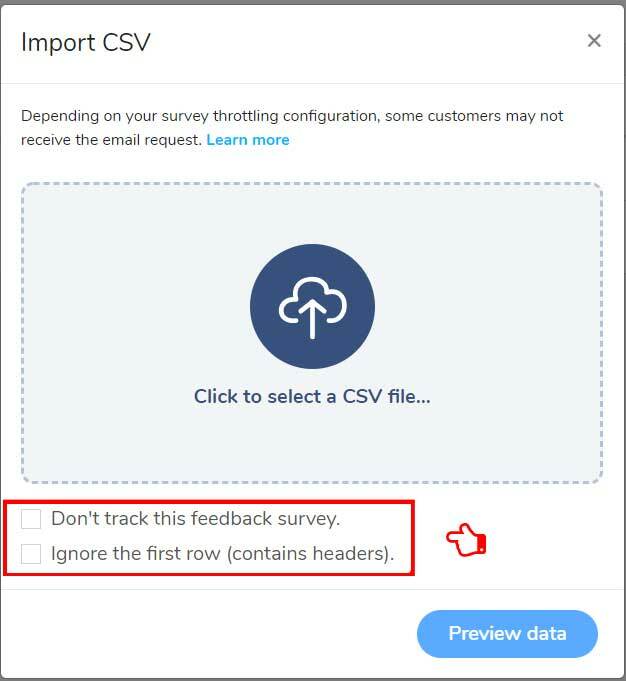 In the Import CSV window, there are two checkboxes labeled “Don’t track this feedback survey” and “Ignore the first row (contains headers)”. 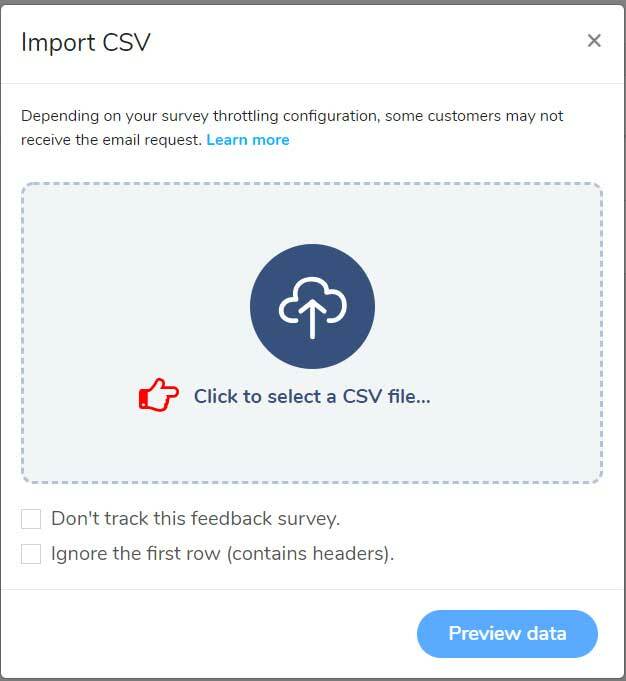 Survey throttling) and don’t add the contact information in your account. Ignore the first row (contains header): If the first row of your CSV file contains column header (for example First Name, Last Name, and Email) select this option to omit the headers. Tip: Your CSV file must have at least three columns. Only first name, last name and email are required to be able to import contacts. 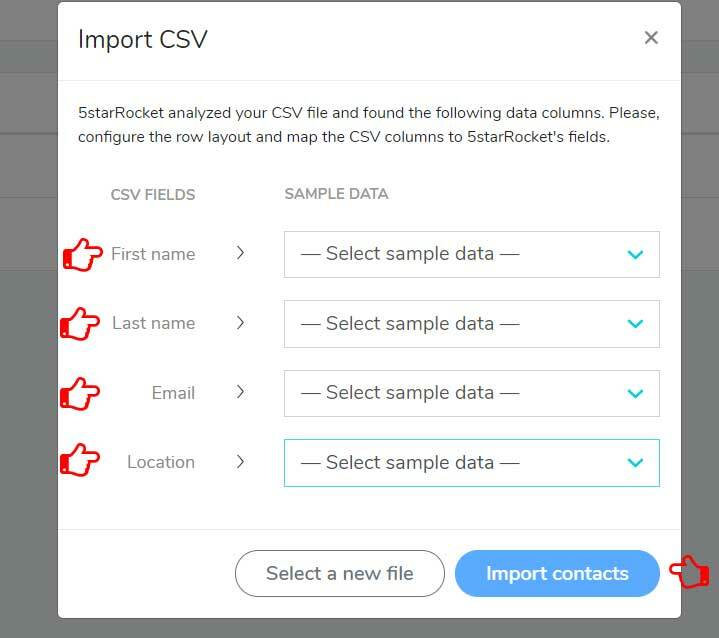 Once you have selected your CSV from your local machine and if necessary selected the desired checkbox, hit the Preview data button in the Import CSV window. You are all done! Your newly imported contacts will appear in your Contacts screen.